A quirky character features on the front of this personalised birthday card. 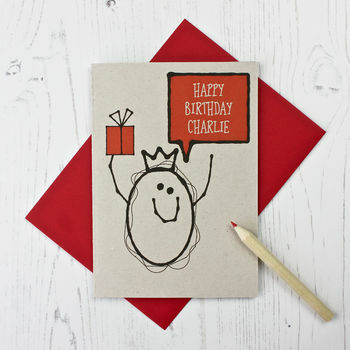 Each birthday card is made to order especially for you and personalised with the name of your choice. Recycled brown card and ink.